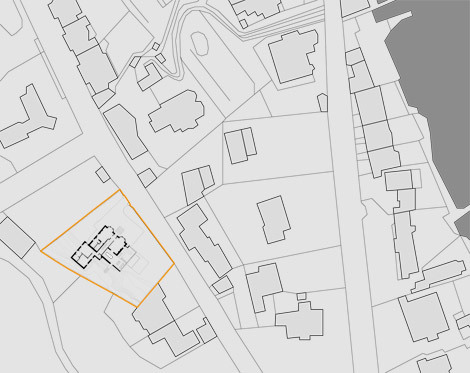 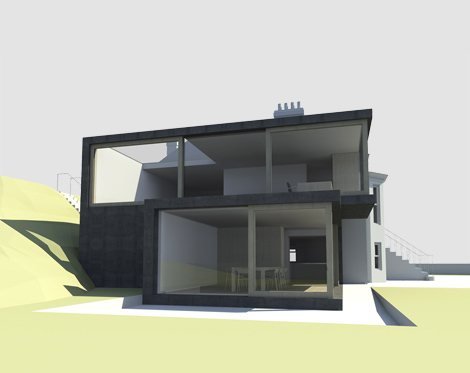 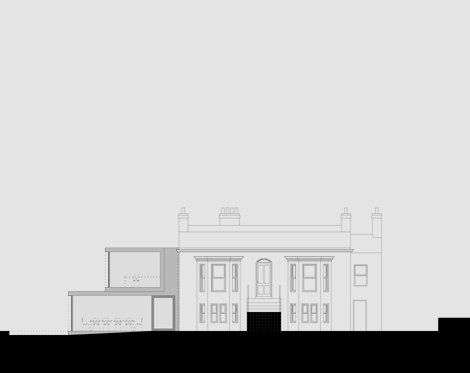 Located along Nerano road, Dalkey, Co. Dublin this project called for the internal modification, renovation and extension of an existing, two-storey, mid-nineteenth century, detached house with the provision of a new two-storey addition to the side and a re-modelled external landscape. 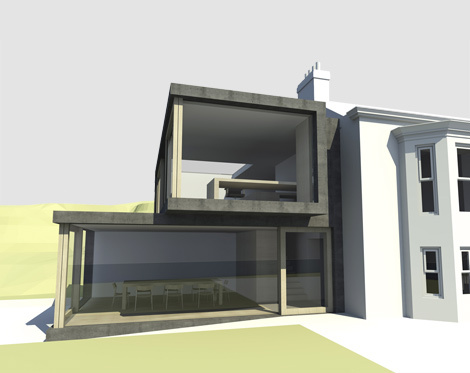 The existing conservatory was removed with the extended lower ground floor providing a new dining and entrance area and the upper ground floor accommodating a new living room. 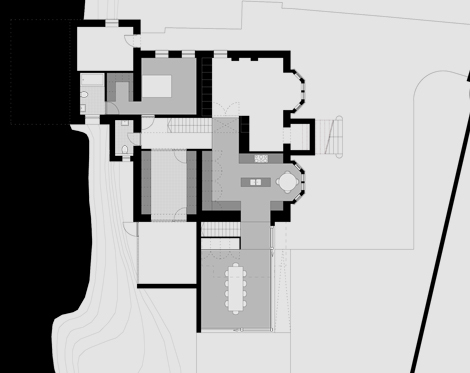 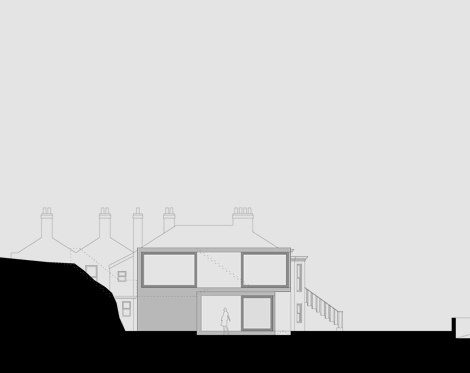 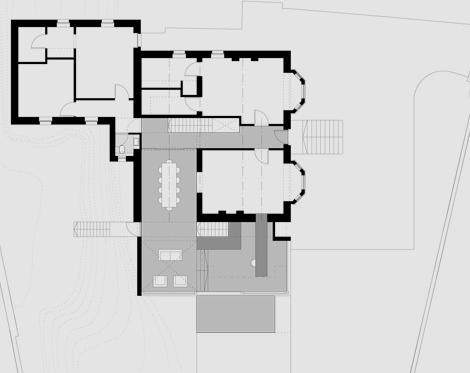 The reconfiguration of the both floor plans re-orientates the house to exploit extensive views over Dalkey Island and also provides a stronger connection to the steeply sloping garden. 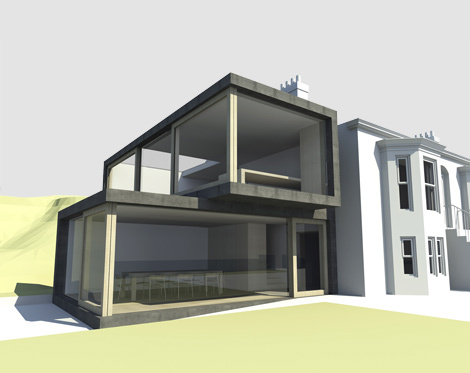 Externally the addition is clad in satin anodised aluminium with large glazed sliding screens. 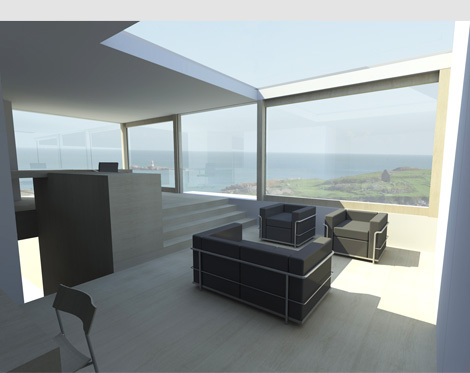 The stepped internal floor plate and built in furniture elements are faced in oak.